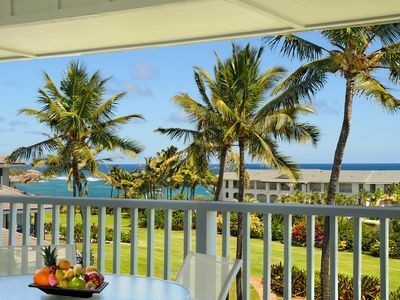 Enjoy the quintessential tropical retreat by booking this oceanfront studio in the Kapa'a Sands community. 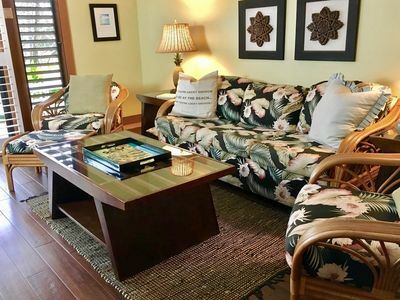 Ideal for a couple out on a romantic getaway, this vacation rental studio offers everything you need in your Hawaii home-away-from-home. 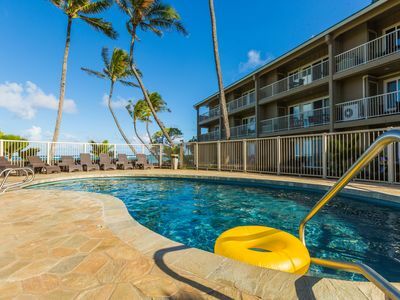 Whether you plan to hike, immerse yourself in the Hawaiian culture at a luau, relax on the beach or lay by the pool, this Kapa’a condo is convenient to it all! 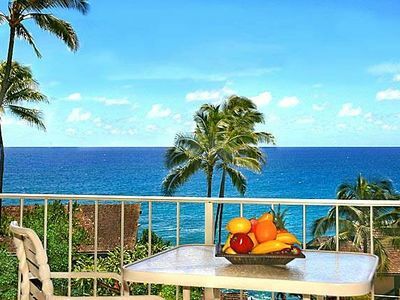 After a long day adventuring outdoors or shopping in the charming beach town of Wailua, this condo is the perfect place to come back to. 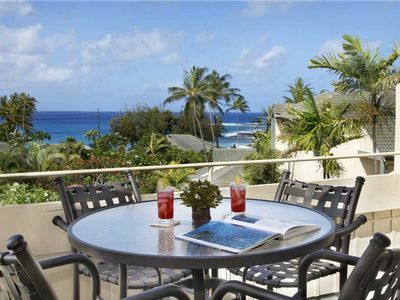 With such close proximity to the beach, evening walks along the shore are just a few yards away. 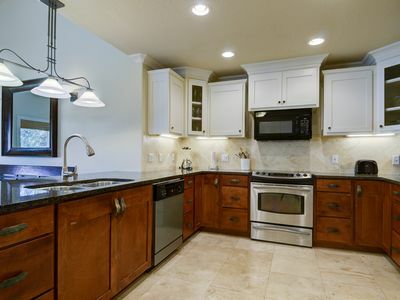 You'll love the fully equipped kitchen where you can prepare a complete breakfast to enjoy on the patio before heading out for the day's adventure. 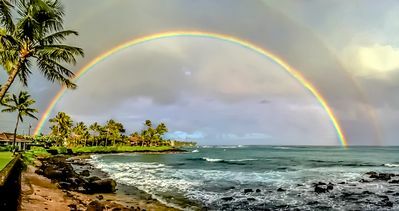 After a day at the beach, keep tabs on the world's happenings by flipping on one of the large, flat-screen TV to catch the news. 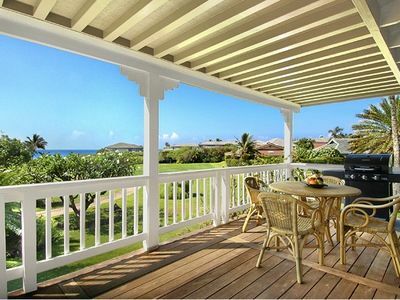 This property boasts incredible views of Kauai's eastern Coconut Coast. 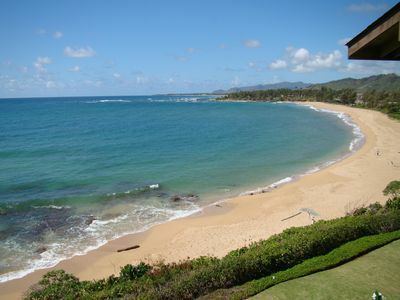 Walk down to the beachfront to see turtles swimming by, or maybe even catch a rare Hawaiian Monk Seal drifting past! 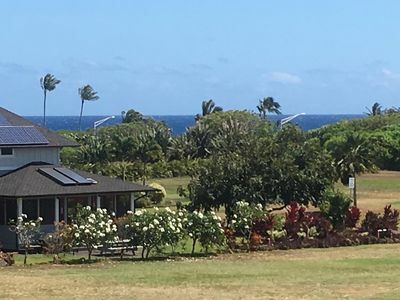 Located in the Kapa'a Sands community, you'll have access to a community pool and shared barbeques as well as a front row seat to Turtle Beach, where turtles feed daily off the coral reef. 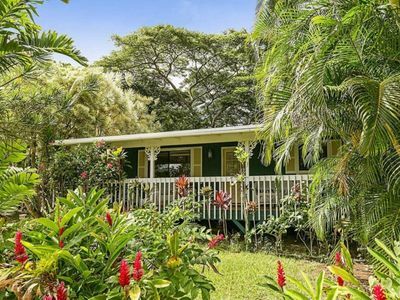 The trek to see Wailua Falls is less than 45 minutes away in Wailua River State Park. 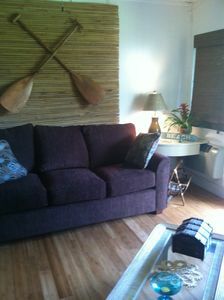 And if you're itching to get on the water, Rainbow Kayak Tours is just a 5-minute walk from the condo. 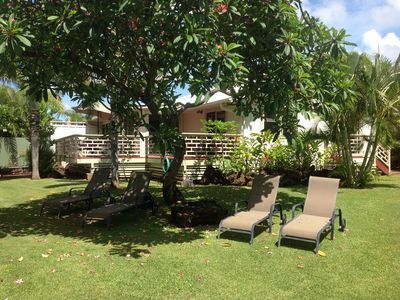 If you have shoppers or foodies in your group, you can reach downtown Wailua in mere minutes. 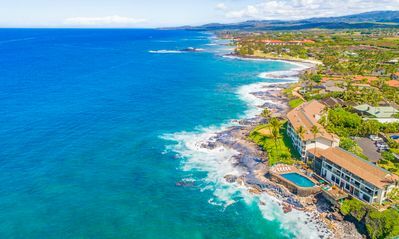 Stroll into town to experience the local culture at Smith's Tropical Paradise Luau, or check out some of the island's best restaurants and shops. 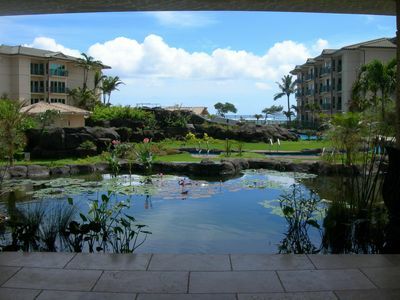 Staying at this condo truly puts you in the middle of it all. 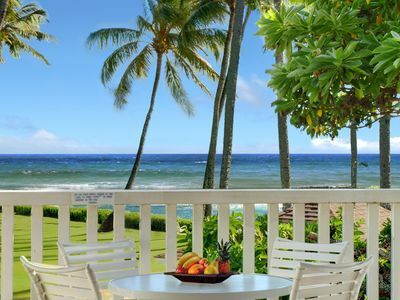 Experience paradise the right way - book this Kapa'a Sands condo for your Hawaiian getaway. 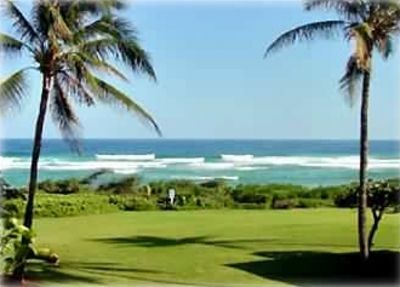 - Amenities include a fully equipped kitchen, private furnished lanai, stunning ocean views, gas grill, community pool, and much more! 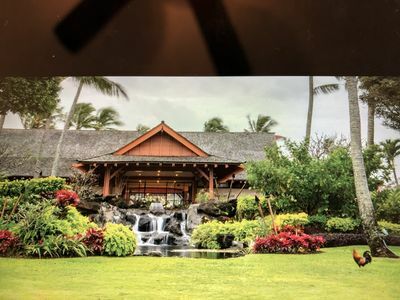 - Incredible beachfront location - Steps to beach, easy walk to restaurants and shops, and a short drive to hiking, kayaking, golfing and more! 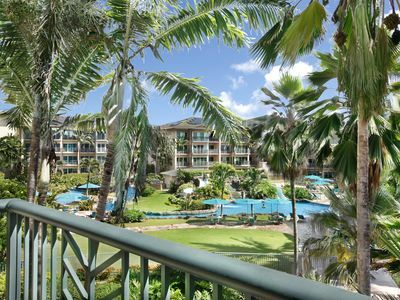 KAUAI Poipu Beach Escape to Tropical Paradise!...Beautiful Mountain/Ocean views! 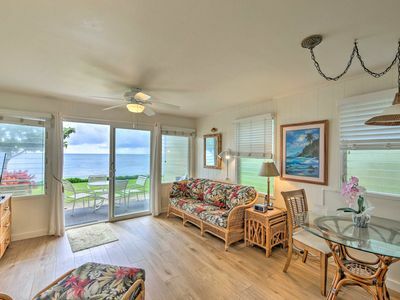 REGENCY VILLAS 3BD+loft, 3BA, sleeps 10, A/C, 5 min walk to beach, 5 star !! 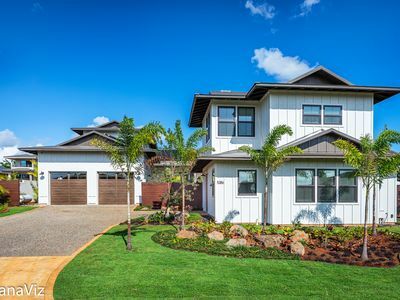 Brand New Luxury Home, Walking Distance to Shops, Beaches & Fine Dining!